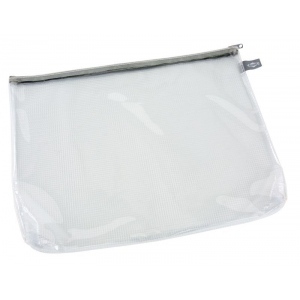 Alvin’s newest addition to our popular mesh bag family. 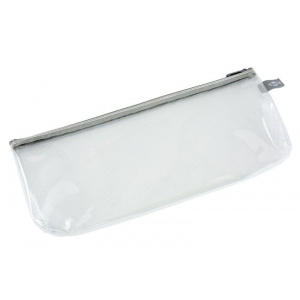 * Introducing a crystal-clear vinyl front to make identifying bag contents a snap. * The back features the classic see-through vinyl reinforced with mesh webbing for strength. 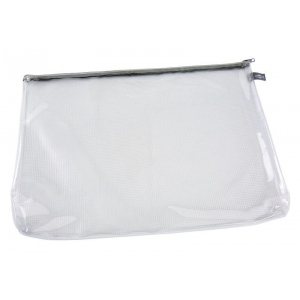 * These durable 300 micron thick bags are ideal for organizing and protecting drawing and drafting supplies or keeping artwork and documents safe! Bags come with a ¾" wide gusset and a gray zippered top.